A super cacao powder that supports heart health, with 8 times the flavinol content of regular cacao powder. It is made with a blend of single origin cacao powder from beans grown in Ghana, supporting small scale farmers in the area. Flavinols are good for your heart as they improve the elasticity of blood vessels to contribute to normal blood flow and overall cardiovascular health. Simply take 2 teaspoons a day to enjoy the benefits of this delicious cacao powder, it can be made into a drink by mixing it with a little hot or cold water to make a paste and then topping up your glass, or simply added to recipes and smoothies. Naturally gluten and wheat free, suitable for vegans and free from any preservatives or additives. High-flavanol cacao powder, Ghanaian single-origin cacao powder. 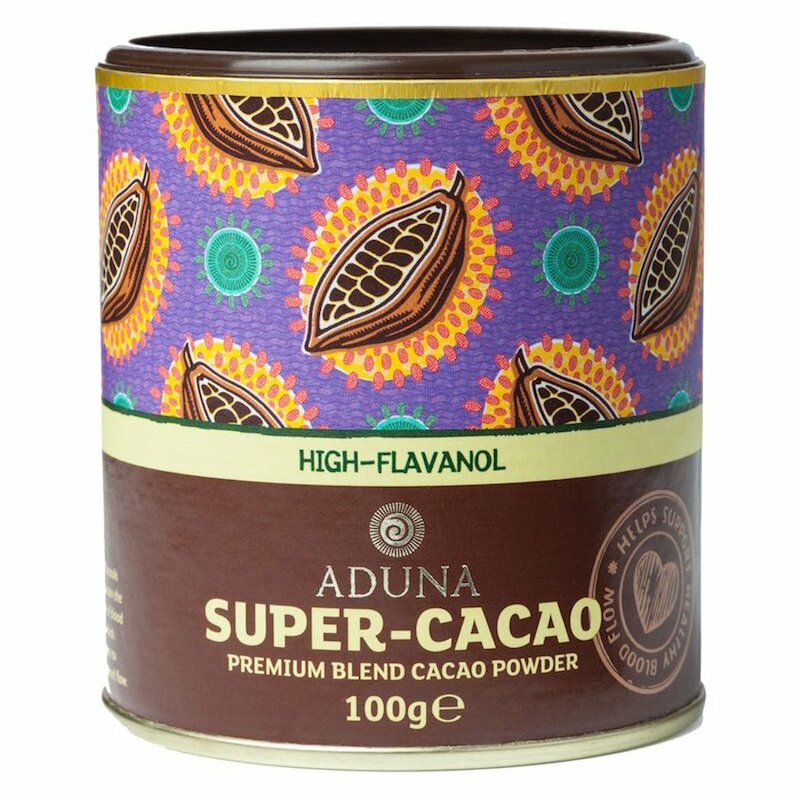 The Aduna Super-Cacao Powder - 100g product ethics are indicated below. To learn more about these product ethics and to see related products, follow the links below. 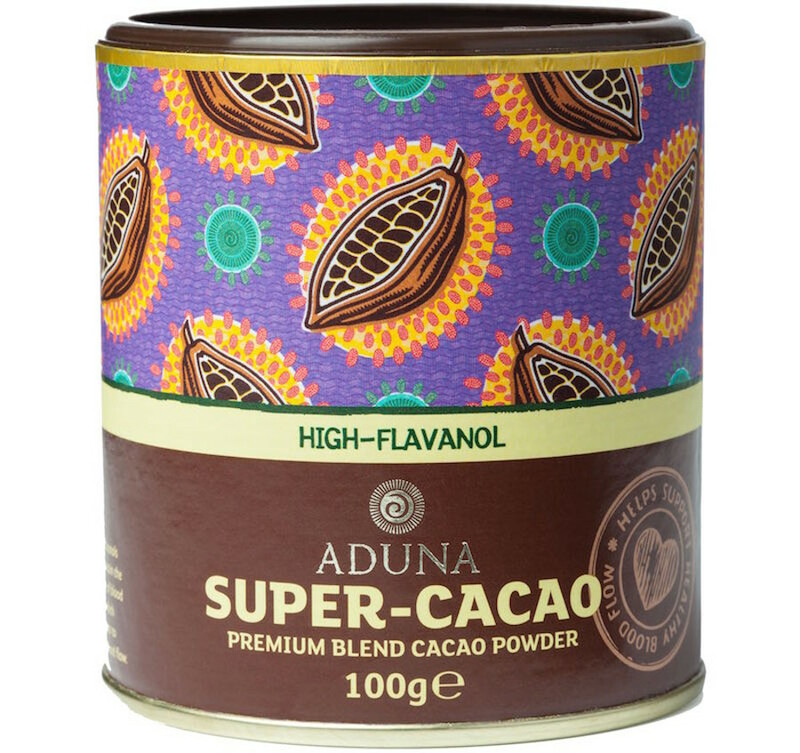 There are currently no questions to display about Aduna Super-Cacao Powder - 100g. Aduna means ‘life’ or ‘world’ in Wolof, which is the local language of Senegal and the Gambia where this Africa-inspired health and beauty brand gets its vision from. Their mission is to breathe the energy and vitality of Africa into everybody’s daily life, whilst feeding positive impacts back to the source. The Aduna products are based on the natural plants in Africa and their health and beauty assets have been used in Africa for many generations - baobab is a 100% natural, nutrient-dense, raw wholefood, a rich source of vitamin C, calcium, potassium and thiamin. It is also almost 50% fibre and has one of the highest antioxidant capacities of any fruit in the world. Every baobab tree is also community-owned and wild harvested.